From Tuesday to Friday, AcadeCap students have the opportunity to participate in a hot meals programme catered by Cordon Bleu Chef Erick LePors of Dial-a-Chef. Every year, Chef Erick prepares and caters a superb internationally flavoured hot meal menu for our students. Dial-a-Chef will take allergic sensitivities and religious-based requests into consideration. At Académie de la Capitale, students have a formal uniform that they wear to school on Mondays, during school outings, and on other special occasions. In addition, students have a more casual uniform that they wear the rest of the week. Students are also required to wear a sports uniform for their Physical Education class. Académie de la Capitale school uniforms can be purchased from Land’s End with the school’s code through this link. 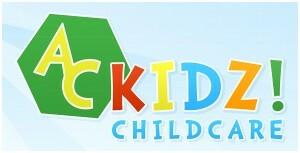 Licenced bilingual daycare and preschool for children 12 months to age 3.